The Fair will open at 12noon on Good Friday 25th March and stay open right through to 11pm that night and then open the same time every day for five days right up to and including Tuesday 29th March. The origin of the fair stretches back into the mists of time to the 16th century, but it really burst into life when Queen Victoria, opened the Palace State Apartments to the public in 1838. Londoners flocked to the area in vast numbers and enterprising showmen set up games stalls such as Coconut Shies, Tests of Strength and Fortune Tellers along the bank of River Thames, which runs alongside the Palace. The fair became an official event soon after, when a showman named Billy Stevens dived into the River Thames from Hampton Court Bridge to save a drowning boy who happened to be the child of a senior Lieutenant from the Palace. Billy’s reward was to be granted permission to stage a large funfair on the Green every Bank Holiday weekend. Fairs became an established part of London life in the 1860s and were recorded in the works of novelist Anthony Trollope. 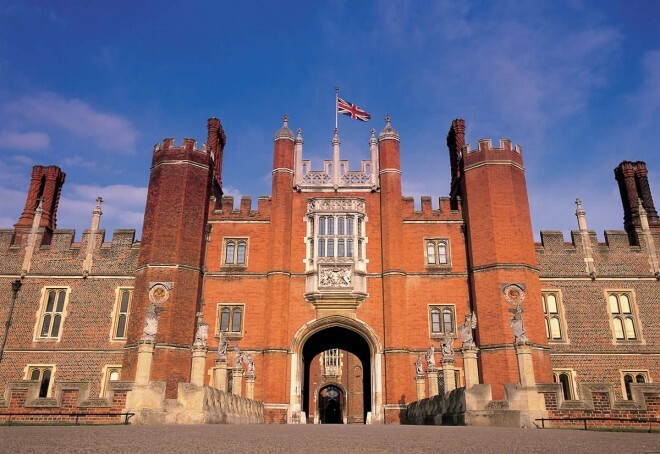 Meanwhile, the development of rail and tram networks boosted Hampton Court Palace’s popularity, bringing an influx of tourists out to Surrey from the capital. The fairs ran through both World Wars and the Showmen’s Guild worked with the government to support public morale. The Green was ploughed up during WW2 to make sure enemy planes couldn’t land but a tarmac area was reserved so the fair could still take place. The organizers continued to innovate, with new attractions including the arrival of one of the first sets of Dodgem Cars in the UK. 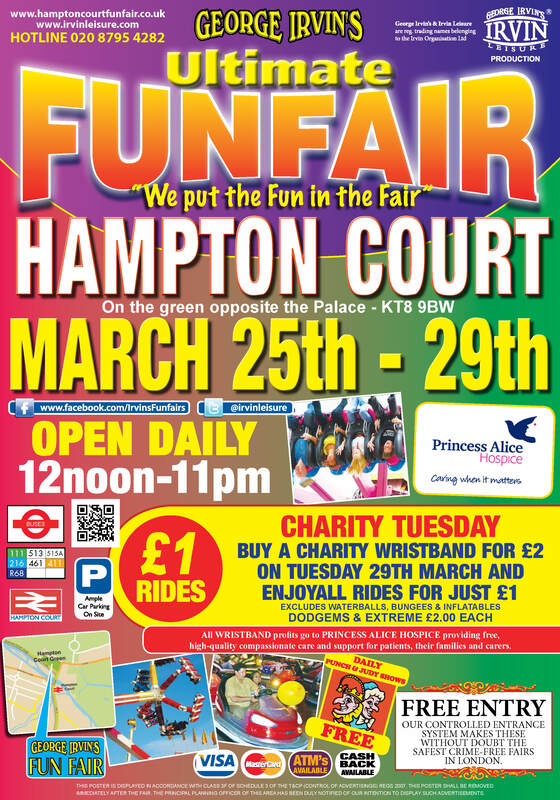 George Irvin, who had attended the fair since childhood, took over its management in 1992 and brought about a series of improvements, working with Historic Royal Palaces-the independent charity that cares for Hampton Court Palace. “We work closely with the residents and council to ensure it runs smoothly and we’re very proud of what we present every year. The Irvin organization has contributed to improvements on the Green and assists the Palace with many of their other events. Careful management of the fair is a priority with no alcohol allowed, First Aiders on site, and an efficient parking scheme is used to minimize traffic around the event. There is a Car Park and great close public transport links. Families can also visit the shops, cafes and bars of East Molesey, enjoy a stunning view of the River Thames and visit Hampton Court Palace, its Maze and gardens.